Please click on the area of the body shown to detail many of the more common conditions for which we are able to offer Sports massage treatment and support. This condition comes on over a period of time where the upper fibres of the trapezius become short and fibrotic, which may be a result of poor posture, long term stress or injury. If left untreated this may lead to increased posture issues such as rolling forward of the shoulder/s, which could eventually lead to a gothic arch from the shoulders to the base of the head, along with separation of the upper and middle fibres of the Traps, this will create poor biomechanics of the shoulder and create further problems. Typical of when the arm is being used for overhead activities. Pain will be felt on the upper and lateral part of the shoulder when the arm is raised above horizontal and can be more painful when lowering. There may be a grinding sensation felt upon palpation. This is common with tennis players, cricket bowlers, painters and plasterers. Often misdiagnosed, as this has similar symptoms to impingement, coracoid impingement and bursitis. This is thought to be a common condition and if it is definitely frozen shoulder could take 3 months - 3 years to run its course. However, I have had many cases where the results were very quick when the client was expecting a lengthy scenario (as it wasn't frozen shoulder at all, important to get that second opinion) see Allan Locheads testimonial. A bursa is basically a fluid sac. 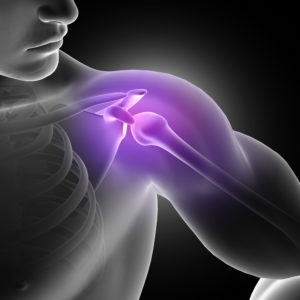 Pain will be present in the upper and anterior part of the shoulder which may be associated with impingement, see above. Tenderness and sometimes a sponginess will be felt, redness and swelling may also be present. There will be similar characteristics to frozen shoulder or impingement. Anterior shoulder pain located near the anterior deltoid. Pain will be felt when reaching across the chest. Avoid surgery unless there is no other option, as recovery may take up to 6 months if operated on. Clients I have treated with pain in this region have been pain free within a month. There are 4 muscles in this group one of which is involved in impingement (see above) and can be responsible for up to 75% of shoulder pain. The other three perform internal and external rotation of the upper arm. As the shoulder is an extremely versatile joint the rotator cuff is susceptible to injuries such as rupture, partial tears, inflammation and thickening of tendons. Intense pain is felt when injured, this may ease with rest but returns immediately with exertion. Pain is often worse at night sometimes due to laying on the injured side. Pain will be felt on rotation of the shoulder, such as reaching into your back pocket or scratching the back of your head. Another anterior shoulder pain, although this muscles primary function is to flex the elbow, it's also a synergist to the anterior deltoid which raises the arm at the shoulder. 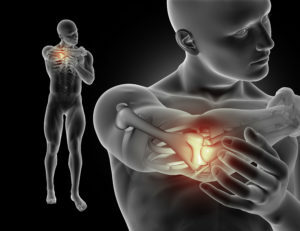 Pain will be felt at the front of the shouder when lifting the arm straight out in front or flexion of the elbow. This tendon commonly suffers partial tears or even complete ruptures in people over the age of 40 - 50 years. This nerve can be injured as a result of an operation, fall or impingement. Pain will be felt on the outside of the shoulder but you may not be able to pinpoint it, this is because the pain is referred from elsewhere. If you are not injured from an operation, we will have to take a look at your training technique, the intensity at which you train and your position at work, all of these will need to be addressed along with treatments to help the nerve recover quicker. These muscles run from between the shoulder blades and up into the base of the skull and the upper neck. They can become chronically shortened due to work related issues such as lots of computer work and gaming and trauma such as whiplash. These muscles when shortened can restrict range of movement and also lead to headaches. A Whiplash injury is a type of neck injury caused by sudden movement of the head forwards, backwards or sideways. 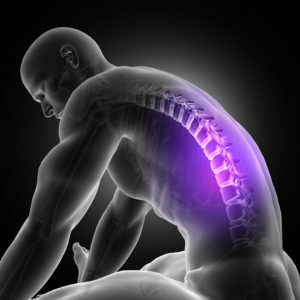 It occurs when the soft tissues in the neck become stretched and damaged. This can happen in many kinds of sports, a car accident or even just suffering a fall. Symptoms may include headaches, stiffness and pain. Torticollis is where there is a fixed tilt, rotation, flexion or extension of the head and neck. Also known as ‘wry neck’ or a ‘crick in the neck’, this is where there is a noticeable abnormal head or neck position, which may be due to a variety of causes including trauma from a fall for example. Headaches, jaw pain and even toothache can all be contributed to by having tight muscles due to tension and stress. Intricate Soft Tissue Release, specific Muscle Energy Techniques and Trigger point therapy can elimate symptoms and cause. 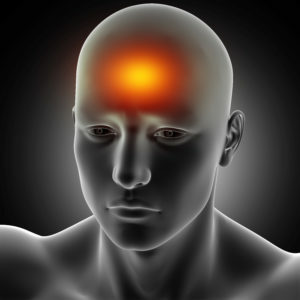 Headaches can come from the most unlikely of places. By far the most common conditions I encounter at the elbow are Tennis elbow and golfers elbow. These are a self limiting inflammatory condition, where the tendons of the common flexors and extensors of the forearm attach at the medial and lateral epicondyles of the elbow (inside and outside bony bits), it can be very painful when gripping and lifting. Ultrasound and sports massage is very effective for recovery of these along with very specific stretches. You may have heard of Lumbago, a generic term for lower back pain with no known cause, but usually there is! 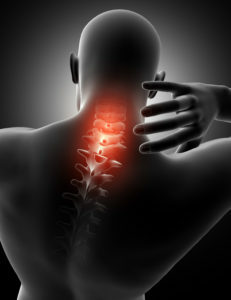 The lower back pain that you experience may not be hosting the primary cause, your pain may be coming from other muscle groups causing stress on the lower back, in areas such as the sacroiliac joint, iliolumbar joint, facet joints, lumbar dorsal joint, correction of these muscular imbalances can eliminate lower back pain. This is the soft tissue that lies beneath the kneecap, this tissue can get impinged causing knee pain. As the fat pad is one of the most sensitive structures in the knee, this injury is known to be extremely painful. This condition is normally long-standing as it is aggravated by extension or straightening of the knee joint. This is common in runners, due to the fat pad being under constant irritation and may become significantly inflamed. Fat pad impingement symptoms include tenderness around the bottom and under the kneecap and swelling may be present. A bursa is basically a fluid sac which acts as protection for bones and soft tissues to prevent wear and tear due to the structures rubbing over one another, if the muscles and tendons are tight the bursa may be aggravated then become inflamed and swollen causing pain, redness and heat around the knee. Prepatellar bursitis (housemaids knee) front of knee. Infrapatellar bursitis, front of knee. Popliteal bursitis (Baker’s cyst) rear of knee. This is a long Fibrous band that runs from the Tensa fascia lata muscle at the top of the hip and finishes at the tibial condyle below the knee. If these structures are too tight and there are adhesions present this may cause a shortening and excessive rubbing over the femoral condyle which is located on the outside of the knee, causing exquisite pain and the inability to run very far without having to stop due to pain. Patellofemoral pain syndrome, here is a condition which the sufferer can be experiencing mild to severe knee pain, one of the reasons could be from the maltracking of the patella caused by imbalances, these imbalances can pull the patella ’off track’ creating wear and tear on the articular surface behind the kneecap, due to this articular surface breaking down, the knee will gradually increase in pain, particularly when sitting , squatting, kneeling and using stairs. This is common in children between the ages of 10 and 14 especially during the growth phase, this phase is where the long bones grow faster than the muscles, therefore excessive traction is produced at the growth plate causing an abnormality in the bone structure causing pain and discomfort and can be quite debilitating. Early diagnosis of this condition can avoid problems in the future, and a serious look at the amount of training and physical activity your child takes part in will play a huge role in recovery. These are found within the joint line of the knee, their main aims are to provide shock absorption and to protect the articular surfaces of the knee, they are situated at the top of the tibia and when viewed from above they appear kidney shaped, they have a thicker outer edge and taper in to a fine edge in the centre, similar to that of an orange segment. Therefore, if you get a tear on the thin edge it is less likely to repair due to the poor blood supply, the thicker outer edge has a richer blood supply and therefore has the potential to heal it’s self. The meniscus may get injured due to trauma such as falling onto your knee, a blow causing a twisting action within the joint or just simply wear and tear. The Anterior cruciate ligament and the Posterior cruciate ligament are both very deep within the knee and cannot be touched or palpated, a sprain to these ligaments can cause excessive pain and swelling, worst case scenario is that a ligament can get ruptured (complete tear), which will require surgery. In my experience people that have had ACL / PCL reconstructive surgery have had excellent results. The Medial collateral ligament and the Lateral collateral ligament support the knee either side, (inside - Medial, outside - lateral). The medial collateral ligament and the lateral collateral ligament may get injured through a blow to the inside or the outside of the knee or if there is a twisting action at the knee joint, if severe enough, this twisting action can also injure the meniscus as mentioned earlier. The lateral collateral ligament is less likely to be injured. Knee Arthroscopy, if you have had a knee operation and are still suffering with niggles around the site of surgery, then this may be due to scarring from the actual operation, even though the operation itself has been a success. My post-operative scar tissue release technique is highly effective in removing these troublesome issues. Recently there have been quite a few hip replacements, and I have to say the results have been fantastic, I have only been contacted to treat scarring from the operation. The only slight complication I had to treat was where a client had a snagging pain near the sacrum as a result of a hip replacement operation, this was a bit stubborn and took 3 or 4 treatments to sort out. This is where the lower part of the hip flexor joins the lesser trochanter of the femur on the inside of the femur (thigh), this area becomes very inflamed and painful which can be debilitating for runners and walkers. As the name suggests, you will feel a snapping sensation or a popping feeling anywhere around the hip girdle, this condition is brought on by tight structures such as tendons and muscles, which may be seeking an alternative route rather than the natural planes of movement before flicking over prominences causing the snapping feeling. If left, this could probably lead to bursitis as well. This can come on through overuse or trauma such as a fall or a hip operation. As mentioned in the knee section, a bursa is a fluid sack, this particular bursa is located below the bony prominence on the outside of the hip, at the top of the outer thigh and can be extremely painful to touch and lie on, there may also be pain when walking or running. The most common ligament to be injured during an ankle sprain is the Anterior Talofibula Ligament (ATFL) There are two other major ligaments that accompany the ATFL and they are the Posterior Talofibula Ligament (PTFL) and the Calcaneofibular ligament (CFL) these three ligaments are located on the outside of the ankle, the bony bit. When injured (sprained or twisted) will cause a considerable amount of pain, especially when weight-bearing and trying to walk. After several hours, bruising will appear around the ankle and along the bottom line of the outside of the foot, swelling will also be present. Injuries to these ligaments can take several weeks to several months to heal completely. Sometimes with continual injury to the ankle or overstretching of the ankle joint, osteophytes (bony deposits) can begin to develop anteriorly with the joint line of the ankle (top/front of the foot) this mainly affects people who participate in sport due to hyperflexion or hyper extension of the ankle joint, these bony deposits can cause inflammation restricted range of movement and pain. Also known as Periostitis or Medial Tibial Stress syndrome. Although strictly not an ankle or foot injury the muscles involved with this condition do originate from the foot. Shin splints is the common term most people will use when they suffer pain on the medial aspect of the lower third of the leg, in most cases this is periostitis, which is the inflammation of the bone covering called the periosteum. The sufferer will experience pain which will prevent them from continuing their activity whether it be walking or running, the pain will subside with a bit of rest but will return promptly as soon as you begin to return to activity which can be demoralising as you have rested for a couple of weeks and thought the injury had vanished. This condition may be confused with plantar fasciitis (see below) trauma(bruising) and overuse can cause inflammation to the heel fat pad this is on the heel bone called the calcaneus. Pain upon palpation, heel pad is tender and firm heel cups or arch supports may be very effective for this condition. This is a fibrous band that runs from the calcaneus and blend with ligaments attach to the toes, when the heel is lifted during take off or running on a hill for example the angle between the toes and the heel increases and this puts a stretch on the aponeurosis excessive stretching will cause pain in this condition and can become chronic. Many things can contribute towards planter fasciitis, overuse, excessive weight gain, and suitable footwear or a weakness between talus and the calcaneus for example. You will probably experience morning pain from getting out of bed which decreases after a short while, there may be pain when standing on your toes sometimes numbness may be fell and tenderness and sometimes swelling on the medial aspect of the calcaneus. This condition is similar to that of Osgood Schlatter's disease, which can affect children during their growth phase, it's a very painful heel (posterior aspect) condition, which will prevent your child participating in activities if left. A look at frequency, intensity, time and type (F.I.T.T) of training and activities is needed, along with ultrasound, simple orthotics, (no ridiculously expensive ones) and stretches will help manage this condition if caught early.